I would be grateful for donations of any size, small or large, to help defray the cost (1) of maintaining this website, (2) and to finance my past and present research which produced my book posted here, Volume One of "The Wound That Will Never Heal," and my forthcoming revision of Volume One (to be submitted for publication), and completion of Volume Two on Wagner's six other canonic operas and music-dramas. I sacrificed at least seven years of paid employment and incurred debts to complete this project, and am currently unemployed, so I thank you in advance for any financial help you can provide. Your friend, Paul Heise. 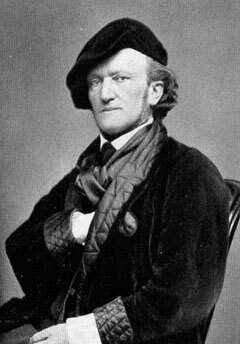 On this site you will find Paul Heise’s in-depth analysis of Wagner’s Ring of the Nibelung, in which he explores the meaning of the four-part music drama, and its philosophical significance, both for its composer, and for us living now. This analysis is the fruit of a life-time’s study, and we hope that, by presenting it in this user-friendly format, you will be helped to find your own way through Wagner’s masterpiece, and inspired to add to, and perhaps to question, the many ideas that Paul Heise presents in his commentary. 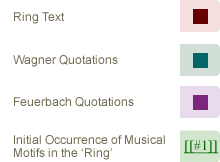 On this site you will find a complete list of the Leitmotives of the Ring cycle, together with MP3 files that will help you to recognise them. You will also find a scene-by-scene presentation of the libretto, linked to the musical material, and accompanied by a commentary. We have introduced the commentary with an essay by Roger Scruton, explaining the importance of Paul Heise’s work, and we have also provided a forum for discussion, in the hope of promoting a cooperative effort to understand one of the greatest works of art to have been created in modern times. © 2011 Paul Heise. All rights reserved. Website by Mindvision.